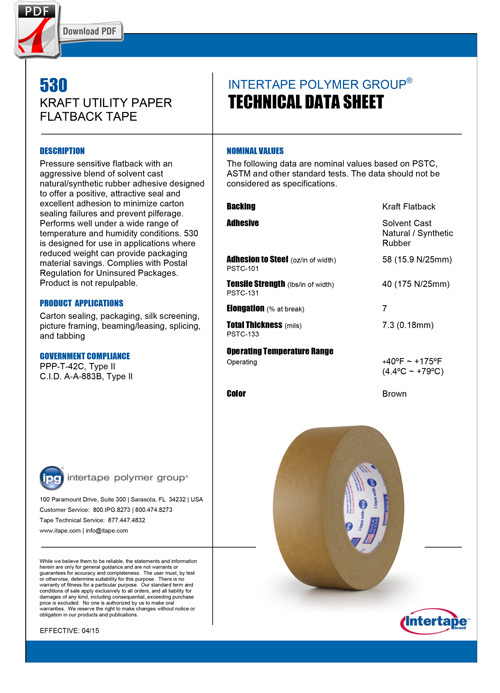 6.0 mil color kraft flatback paper, coated with a natural rubber resin adhesive system. 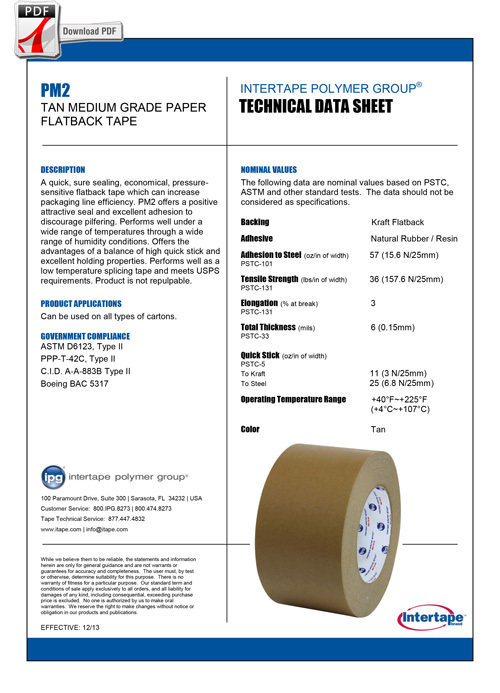 A quick, sure sealing, economical, pressure-sensitive flatback tape which can increase packaging line efficiency. Offers a positive, attractive seal and excellent adhesion to discourage pilfering. Performs well under a wide range of temperatures through a wide range of humidity conditions. KFT-PM2 is not repulpable. Adhesion to SST: 57 oz/in. Tensile strength: 37 lbs/in width. Elongation: 4%. Range temperature application 40°F to 225°F. Meets MIL Spec D6123, Type II. 3” neutral paper core.